I’ve always been a huge fan of smoothies as part of my regular routine each week, and since I work out of the house, it’s very easy for me to make them during the middle of the day. Oftentimes I teach a Pilates or toning class midmorning and will follow my workout with a healthy protein shake or smoothie that I prepared in my NutriBullet. After consumption, I felt refreshed, rejuvenated, and ready to take on the remainder of the day without hunger pains nagging at me post-workout. I knew I needed a variety of smoothies to get me through for dinner, so I mapped out three unique recipes for rotation I wanted to try. I made sure each recipe had a balance of fat, protein, and carbohydrates so I would stay full. This was easy to do with almond milk, low-fat yogurt, almond butter, protein powder, and fruit. I bought my fruits ahead of time and washed, sliced, and placed them into individual freezer bags so they would be easily accessible and help me make a very quick dinner when I was ready. By preparing the fruit ahead of time, each smoothie took less than five minutes to mix and blend in the evening for a simple and refreshing dinner! 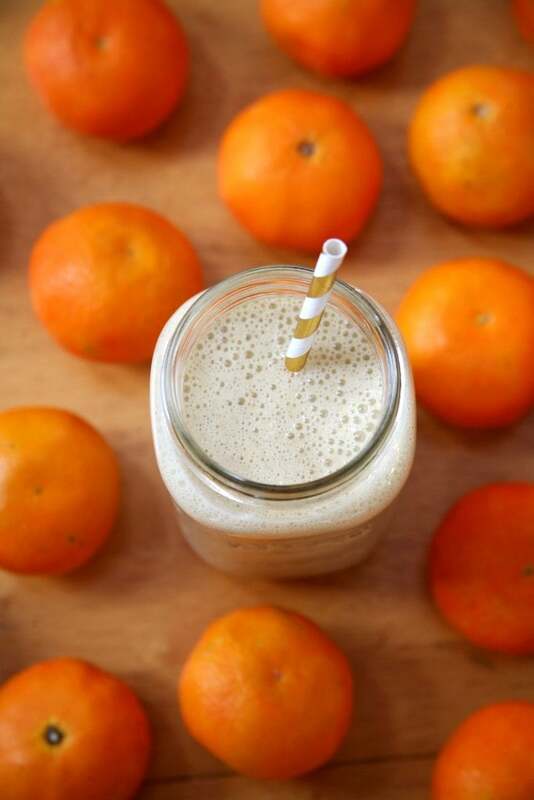 One of my concerns with drinking the smoothies at night was late-night food cravings. I was worried a smoothie wouldn’t be a sufficient dinner and I would miss the chewing and satiety involved with a solid food meal, leading to after-hours snacking. I was pleasantly surprised when I found I didn’t think about food the remainder of the evening after consuming my smoothies, and in fact, I felt lighter and better than I do when I have a solid meal. I also slept incredibly well, felt great when I woke up, and experienced a slight drop in my weight over the course of the week. All in all, it was an easy, quick meal to make and I benefited from choosing smoothies for dinner. I do think variety is key, and if I were to do it again, I would need to introduce more flavors and options to keep from getting bored. Absolutely. One of the meals my personal training clients struggle with the most is dinner, and I think recommending a smoothie a couple nights a week takes the pressure off of cooking and introduces a healthy and simple way to get lots of vitamins, minerals, and fluid. 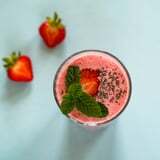 I wouldn’t recommend having a smoothie every night, but now that Summer is here and the temperatures are heating up, smoothies are the perfect meal when you just don’t feel like cooking. My best advice is to keep some protein powder and frozen fruit ready to go so you don’t have to think too hard when you want to enjoy a cold blended beverage!